In July 1845, Henry David Thoreau built a small cottage in the woods near Walden Pond in Concord, Massachusetts. 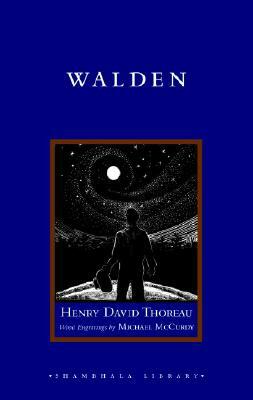 During the two years and two months he spent there, he began to write Walden, a chronicle of his communion with nature that became one of the most influential and compelling books in American literature. Since its first publication on August 9, 1854, by Ticknor and Fields, the work has become a classic, beloved for its message of living simply and in harmony with nature. This edition of Walden features exquisite wood engravings by Michael McCurdy, one of America's leading engravers and woodblock artists. McCurdy's engravings bring the text to life--and illuminate the spirit of Thoreau's prose. Also included is a foreword by noted author, environmentalist, and naturalist Terry Tempest Williams who reflects upon Thoreau's message that as we explore our world and ourselves, we draw ever closer to the truth of our connectedness.